What’s it take to say you have the best burger in town? There’s a couple of approaches – there is, for one, the slow and bureaucratic and sometimes biased democratic method where some third party has a vote or a judging or a contest or something and reaches a conclusion. Which is fine for those who like taste handled by committee. 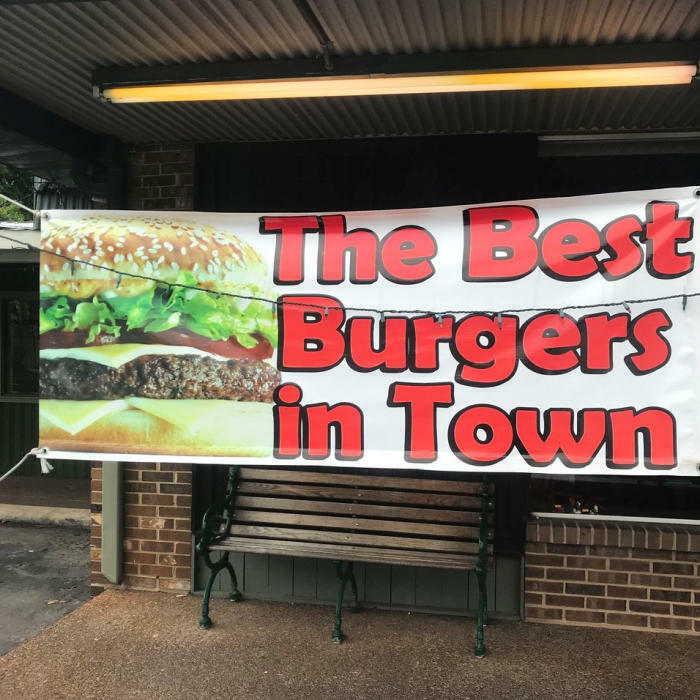 And then there’s the more direct method – cut out the middleman, and just put up a banner or billboard or website declaring your burgers are best. To go that route, you need nothing but chutzpah, but you better have a tasty burger. 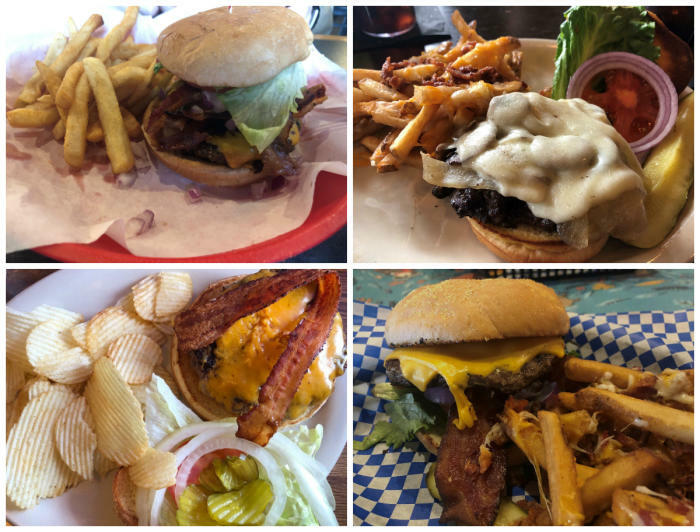 It occurred to me dining in Huntsville that even though, technically, it seems like one one burger should be the best in town, at least four different restaurants were staking their own claim to the title. Clearly, investigation was needed. I’ll note that for the purposes of this research, I didn’t include places that have a reputation for good burgers or that advertise a burger without saying its the best or even just places that have burgers I liked. I grabbed my dad and brothers, and went specifically to places I had seen promote that they had the best burger in town. As a double-check, I also asked my waitperson if these were indeed the best burgers in town. None disagreed. 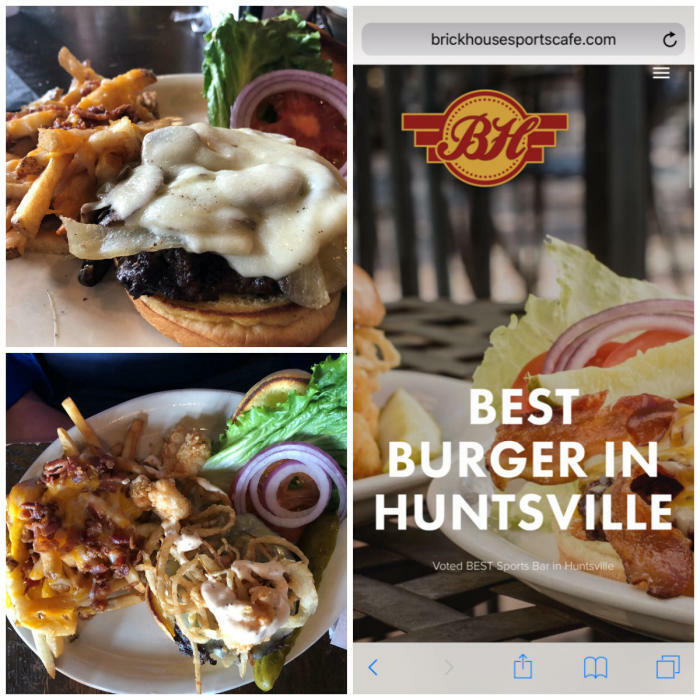 The purveyors of Huntsville’s hubristic hamburgers were Beauregard’s, Brickhouse, Edith Ann’s Taste of Home Diner, and Toybox Bistro. So who was right? In their own way, they all were. What we found here were good, classic burgers. My dad got a Bacon Cheeseburger; I got their Kentucky Burger – smothered in bourbon glaze, topped with an onion ring and pepper jack cheese. Both burgers were accompanied by a side of tasty fries. The bacon was crisp, the burgers were juicy. My dad’s only complaint was arguably more of a compliment – the beef was almost too big for the bun. 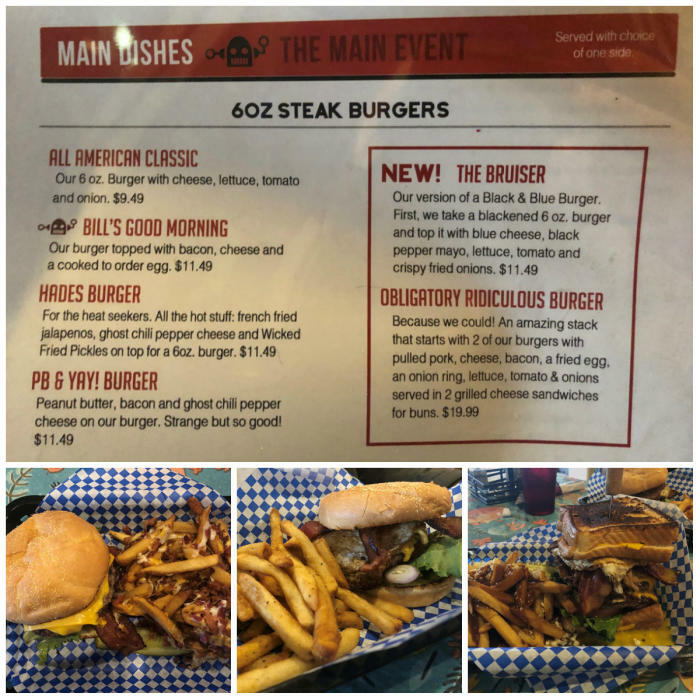 The rest of the burger menu was solid and traditional, with the most unusual, the Buffalo Burger, paying tribute to their house specialty wings. If the menu variety isn’t enough, you have the option to build your own burger. But the menu variety may well be enough – my youngest brother got the “Surf N Turf” burger, the beef patty topped with fried shrimp and remoulade. My dad got the Smoky Mountain barbecue burger, my middle brother went with the Build Your Own, and my “Providence Classic Burger” captured the spirit of the experience – while a “Classic” at many places is an old-fashioned stack of beef-cheddar-lettuce-tomato-pickle, here it included sautéed onions, mushrooms, bacon and provolone. The patties were well-seasoned and thick; the consensus was the toppings did a great job adding flavor without overwhelming the stardom of the beef. Toybox is best known for its atmosphere; the restaurant is home to an impressive collection of sci-fi and fantasy toys. The menu notes that Wernher von Braun ate at that location, though that was a few restaurants before Toybox. The creativity in the decor matches the creativity of the menu, and the burgers reflect that. One of the options we didn’t get, for example, was the PB & Yay! Burger, for when you’re craving a combination of peanut butter and ghost pepper cheese. My dad went with Bill’s Good Morning, topped with an egg, my youngest brother had the Hades Burger “for the heat seekers,” I went with the All American Classic (here, beef-cheese-lettuce-tomato-onion), and my middle brother took one for the team and went with the Obligatory Ridiculous Burger – two 6 oz patties, pulled pork, cheese, bacon, a fried egg, onion ring, lettuce, tomato and onions, served between two grilled cheese sandwiches. Not necessarily as in their “Classic” was better than the “Classic” at other places, but as in, if you want just a good, solid, traditional burger, Beauregard’s is a good place to go. If you’re in the mood for a burger but you’re hankering for something a little fancier, head toward Brickhouse. 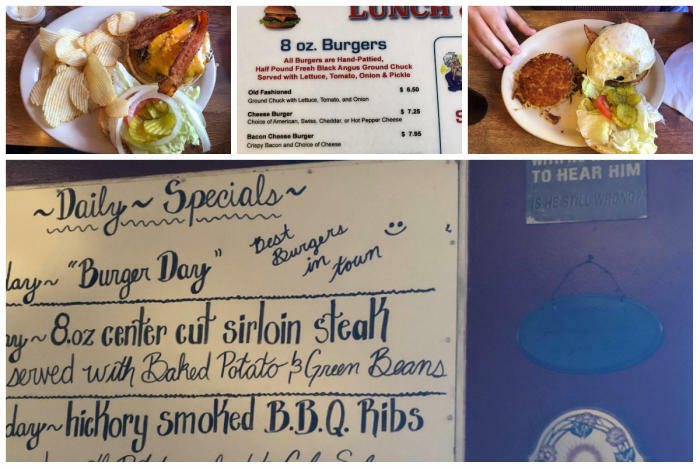 Assuming your grandmother was an artist in the kitchen, Edith Ann’s will serve you an old-fashioned diner-style burger that would make her proud. Bored with burgers? Come to Toybox and they’ll rekindle the romance by heating things up with Wicked Fried Pickles or helping you stick together with peanut butter. But, again, these are just the places that claim the title for themselves. Who would you give it to? Let us know in the comments.